DutchCrafters, one of the largest online retailers of Amish furniture at www.dutchcrafters.com, is accepting applications for the DutchCrafters Heritage Scholarship. Information about the scholarship can be found at https://www.dutchcrafters.com/heritage-scholarship. The deadline to apply is May 1, 2018. Every year since its establishment in 2012, three exceptional students who have been accepted to or are attending a four-year college or university have received $500 to assist with their educational costs. Along with a brief financial need statement, applicants are asked to submit an essay explaining how they plan to use their cultural heritage to shape their vocational aspirations, offer creative value to their future employer, and serve their community. “We’re honored to invest in young people as they draw from their cultures and histories to build their futures,” said DutchCrafters CEO Jim Miller. Winners of the scholarship for the 2017-18 academic year were Brianna Kinsey, Rebecca Price, and Amalia Weber. 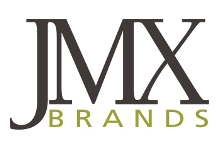 Find out more information about them at httpwww.jmxbrands.com/dutchcrafters-announces-2017-scholarship-winners.